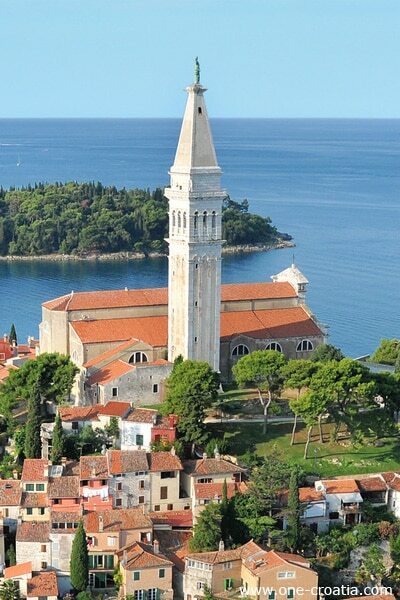 While approaching the city, discovering that hill covered with colorful houses, surrounded by the sea, with this Venetian church on the top of it trying to rich the sky, it will be too late, you will already be in love with Rovinj. 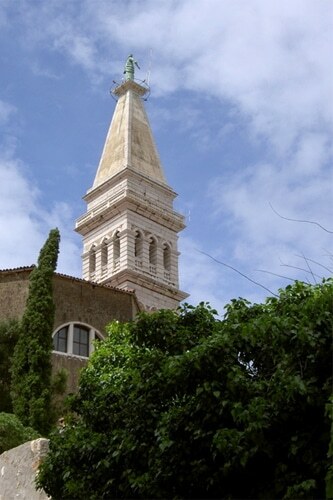 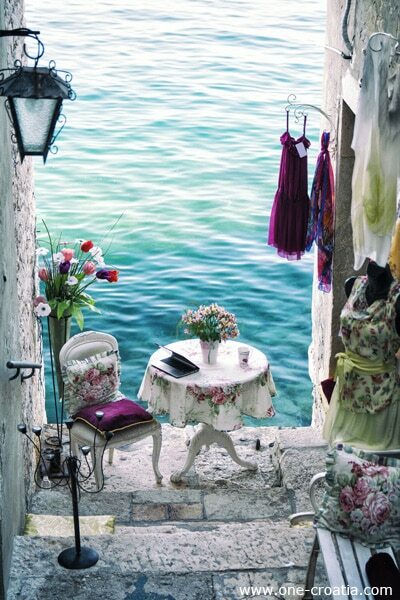 Saint Euphemia is the protectress of the city of Rovinj. 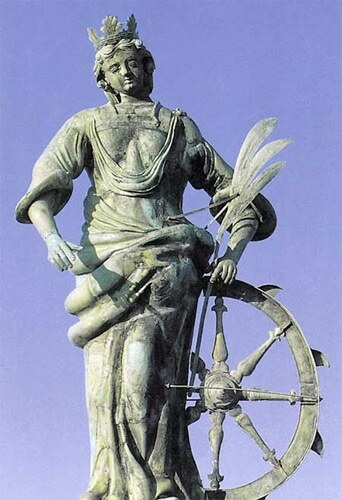 Saint Euphemia was born in 304 near Constantinople. 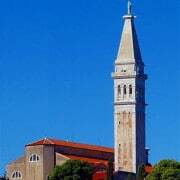 Because of her Christian religion, under the reign of the emperor Diocletian, she was martyred and died in her youth. 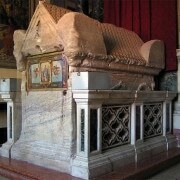 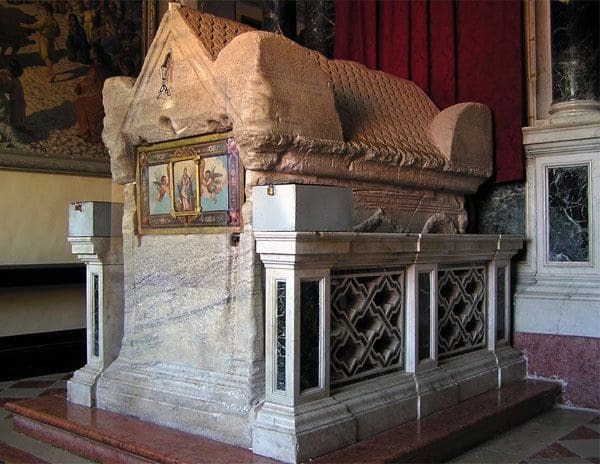 The old marble sarcophagus that you can see in the church contains the body of the martyred Saint. 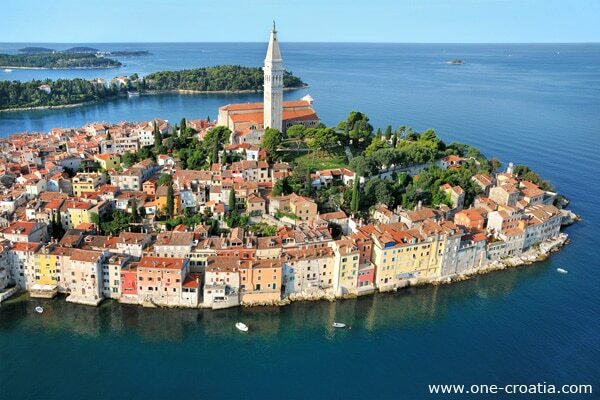 The legend says that one day it dissapeared from Constantinople and was found later on the shore of Rovinj in 800. 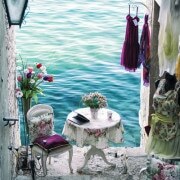 From that time it has been safeguarded in this place. 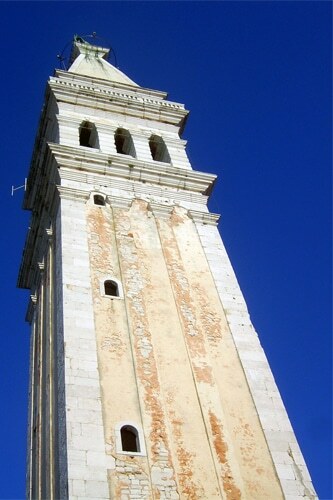 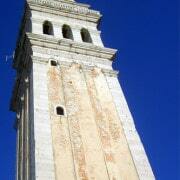 The 60m bell tower is modelled on the belfry of St Mark’s in Venice. 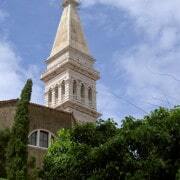 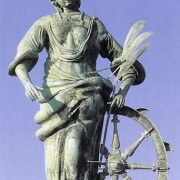 It is topped by a copper statue of St Euphemia, which shows the direction of the wind by turning on a spindle. 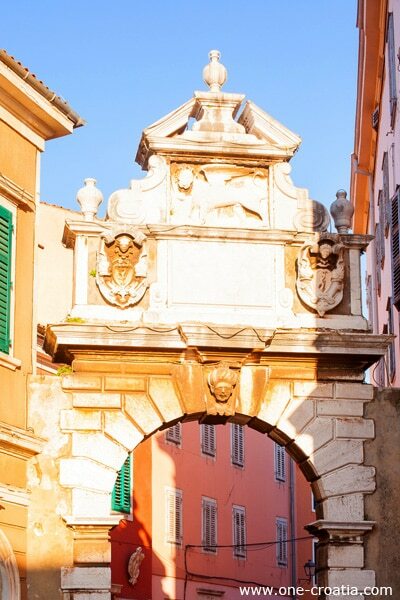 In history where Balbi’s Arch stands today it was used to be the main gate to the fortified city. 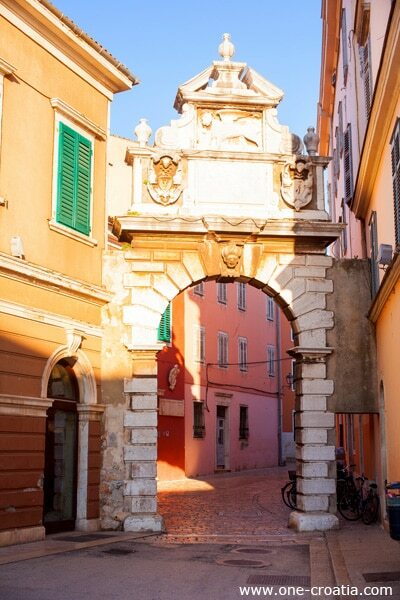 When the old gate was demolished in the 17th century the Balbi’s Arch was built in its place. 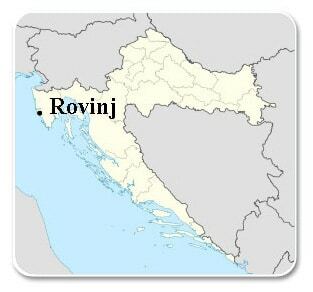 It was named after Balbi, a former mayor of Rovinj. 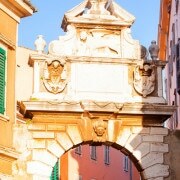 The inscription written on a stone board placed on the arch bears witness to that fact. 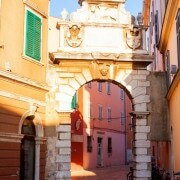 Today this arch is one of many attractions in Rovinj. 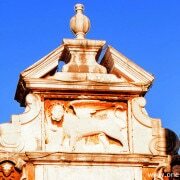 At the top of the arch is the lion, the symbol of the Venetian republic, with an open book (meaning that Rovinj without the war was ruled by government of the Venetian Republic). 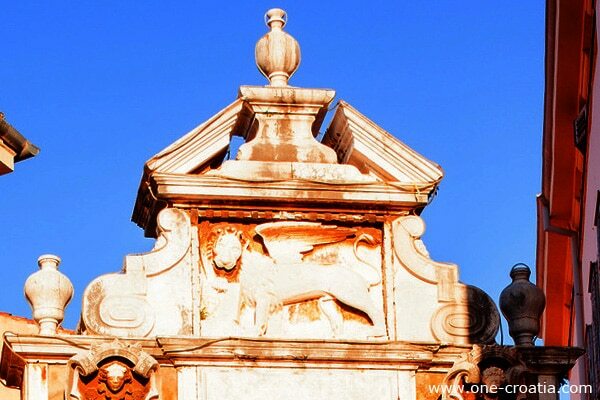 There is the carved head of a Turk on one side, while on the other side is the carved head of a Venetian. 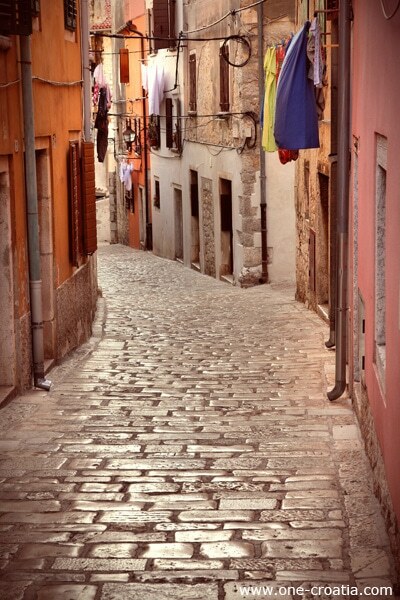 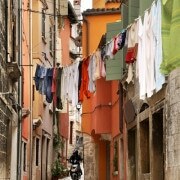 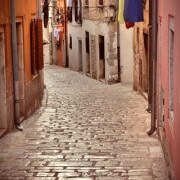 Simply walk in the old town, discover it without rushing, as its inhabitants would do. 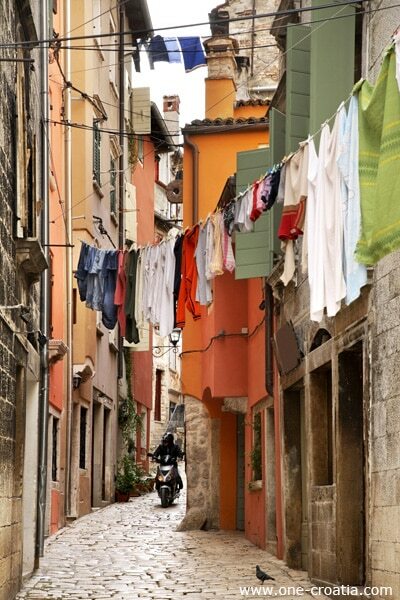 Get lost in its narrow streets where time seems to stand still, even cats lay there quietly, looking like nothing can bother them, not even the coming and going of tourists. 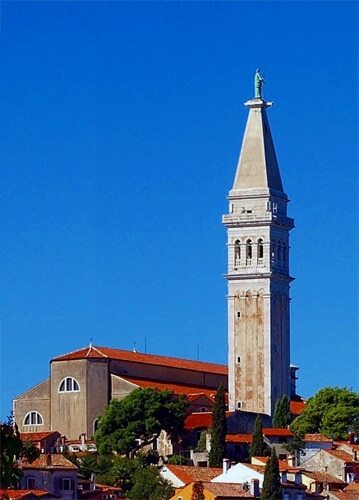 Go to the top of the bell tower of the Cathedral, you will have a magnificent view over the rooftops of the old city and on the islands.